Experienced coaches & qualified staff provide knowledgeable instruction. Our staff takes the responsibility of player skill development seriously. Whether you participate at our facility or have our staff come to you, rest assured that you will receive personalized workouts based on the foundations of a V Tool player: hit for average, hit for power, field the ball well, increase your speed, and throw with velocity while making accurate throws. You'll also find that being involved in our programs means that you'll gain knowledge of the game which makes any player better. 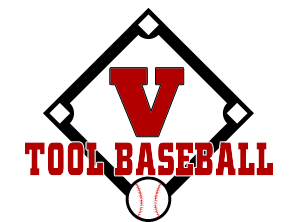 Besides the fundamentals, the team at V Tool Baseball/Softball Academy go above and beyond by teaching players the mental side of baseball and how to use their talent to best affect every single game. 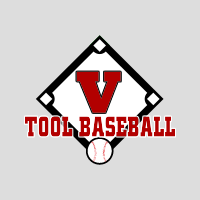 Scott White, Director of Baseball Operations for V Tool Academy, has a long history in baseball. Coach White is a graduate of Malden High School, where he played football, basketball, and baseball. He is also a graduate of Central Methodist University with a Bachelor of Science in Physical Education, Health, and Social Science along with a Masters degree from William Woods University in Secondary Administration. Coach White also played baseball and was a four-year starter for the Eagles during his college days earning Rookie of the Year and Pitcher of the Year honors during his tenure. Upon leaving, Coach White placed himself in the top 5 in many career records both as a hitter and a pitcher. Upon graduation, Coach White embarked upon what would be a highly successful coaching career. Overall Coach White is 337-122 in his coaching career. That is almost a 75% winning percentage. Included in those wins are 4 Final Four appearances, 8 district titles, and 6 conference championships. Coach White is quick to point out that there is no way you win that much without excellent players. Over his career he has sent almost 40 kids to go play college baseball from his high school teams. Included in that are 2 Louisville Slugger Pre-Season All-Americans, 51 all-state players, 79 all-conference players, 53 all-district players, and 14 all region players. Coach White was also voted Coach of the Year 9 times in the Conference and District. Coach White also was a high school basketball coach with a record of 111-78. That also included 3 district titles, 3 conference championships, 12 all-state players, 38 all-conference players, and 4 Coach of the Year awards. Most people do not know that Coach White also coached football here at Kemper Military School and College while it was open and won the Governor's football, which goes to the best military school in the state, both years he coached. Probably the most impressive thing about Coach White's coaching career is the fact that only once did he take over a program in baseball or basketball that had a winning season the year before he took over. It was during his coaching career that Coach White started helping younger kids with camps and private lessons. During this time, Coach White was also coaching 18 and under Showcase teams that played at the highest level. Between the private lessons and the 18u Showcase Team, Coach White had the chance to work with and teach multiple highly skilled baseball players and helped over 30 of them receive college scholarships to fulfill their dreams of playing college baseball. Coach White has been giving lessons for the past 12 years and has trained every position on the field and has also trained numerous players in strength, quickness, and speed training. As Coach White likes to say, "My players were training the core way before it was ever called the core." Coach White has been married to Becky Dority White for 24 years, who he met while at Central Methodist, and he also has 3 children. Tyler is the graduate Assistant Baseball Coach at Missouri Valley College after a successful stint at North Central Missouri Junior College and an All Conference senior year at Missouri Valley. Tanner is a left handed pitcher for Missouri Valley College. And Kacie is a frshman softball player at Maple Woods Community College in Kansas City. Coach White had this to say about his family, "I am the luckiest man on earth because I have a wife who is a great partner and an even better mother and I have children who work hard, study hard, and are great players, but they are even better people." Tyler White is our Director of Baseball Operations for 14U-18U. Tyler is also the Head Coach of our 18U Showcase team and has been instrumental in numerous players heading to college on scholarship to continue their careers. Tyler was a standout athlete in two sports in New Franklin, MO. When we say he was a standout athlete, Tyler scored almost 1,800 points in his basketball career while being an All-State baseball player for three years at three different positions. Not only did Tyler excel on the court and field but he was also the Salutatorian of his class. After high school Tyler chose North Central Missouri Junior College to continue his playing career. After a stand out freshman campaign, where he hit .342, Tyler was looking forward to great sophomore campaign when the injury bug hit him and cost him his sophomore season. After graduating from Junior College, Tyler chose Missouri Valley as his college of choice. Tyler is currently a senior and will finish up his last year of eligibility this coming season. Tyler's future plans include graduating with a double major in Business Administration with an emphasis in sports and Finance. Becoming a Graduate Assistant and while assisting a college team get his Masters Degree in Athletic Administration. Many people look at Tyler's age and cannot believe he can be a good coach, but as his former coach and his father, Scott White had this to say about Tyler. "Tyler was not the most athletic player, the best player, the best hitter, or the best pitcher I ever coached. But, having said that, he is by far the smartest player I have ever coached and used the mental side of the game to become outstanding at all those other areas. He was relentless in his pursuit to be successful and because of that, he is an outstanding coach. As far as knowledge of the game, and his ability to get his guys to buy in and become great, I will put him up against any coach out there at any level." Every coach Tyler has had over the years echoes those sentiments and his players absolutely love playing for him. Tanner White is the coach of our 14U baseball team. Tanner does a great job ensuring that these young players in our system are getting the skill development that they need to be successful. Tanner is actually a great teacher of the game and really really emphasizes the pitching mechanics in a way these young men absorb. Tanner was a two-sport star at New Franklin High School. Tanner scored over 1600 points in his career while also setting the steals and assists record in basketball. Not to mention he was a three-time All Stater at three different positions in baseball and was a starting member of four different District Champion teams.. After high school, Tanner chose Mineral Area as his college of choice. After some shoulder issues, Tanner decided after his freshman year to fulfill a dream his brother and he had since they were little. They wanted to play college baseball together so he chose to go to Missouri Valley where he will be a sophomore eligibility wise. People talk about Tanners age and his lack of experience in coaching but do not truly understand this young man at all. Scott White, Tanners former coach and father says, "Tanner is a kid who was a basketball player first and that was his love. As a junior, Tanner finally came around and realized baseball was his ticket. It was then that Tanner studied almost every night and fell in love with the art of pitching. There is not much he does not understand about the game and he does a great job of getting his message across to the young kids he coaches in our program." When you talk to people about Tanner, the first comments you hear about him are how his smile is infectious and how great he is with the younger guys. But, ask the players what they think and they will tell you he is really cool, but really hard on us. He always pushes us. Or my favorite, Tanner always is making us better except when he brings the fitness ball out. That is in reference to a ball with all kinds of exercises on it that Tanner makes them roll for their conditioning.